Naloxone comes in three different forms: as a nasal(nose) spray, as a vial that requires you use a syringe (needle) for injection, and an auto-injector device that will inject into the muscle with a small needle when you push a button). 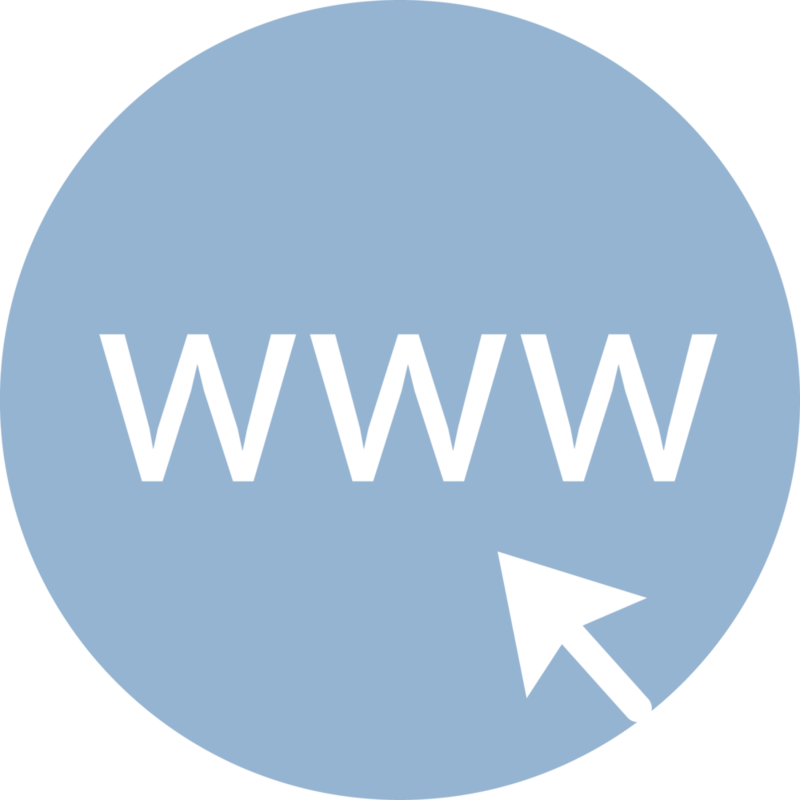 There are videos that explain how to use each of these different forms of the medication here. 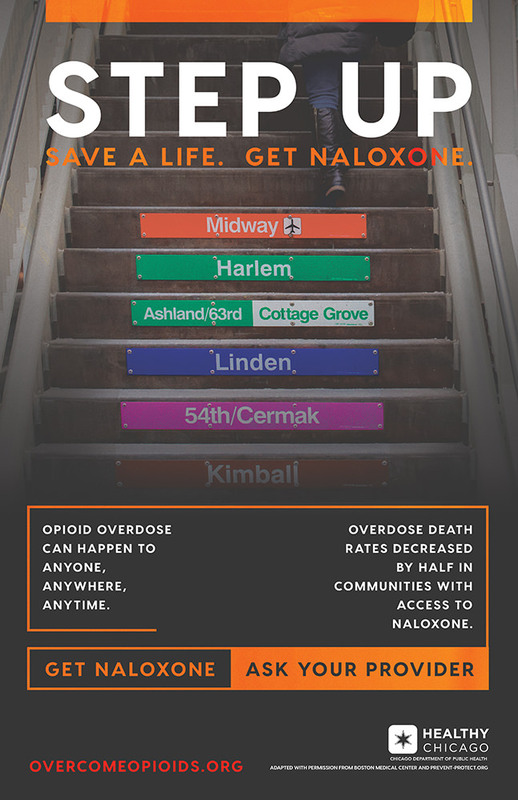 Naloxone is a prescription medication that can be administered to reverse the effects of an opioid overdose and save someone’s life if given right away. Naloxone usually works quickly. If the first dose doesn’t work in 2-3 minutes, give a second dose. Naloxone wears off after about 30-90 minutes. For this reason, it is possible for someone to wake up and then overdose again when the naloxone wears off. 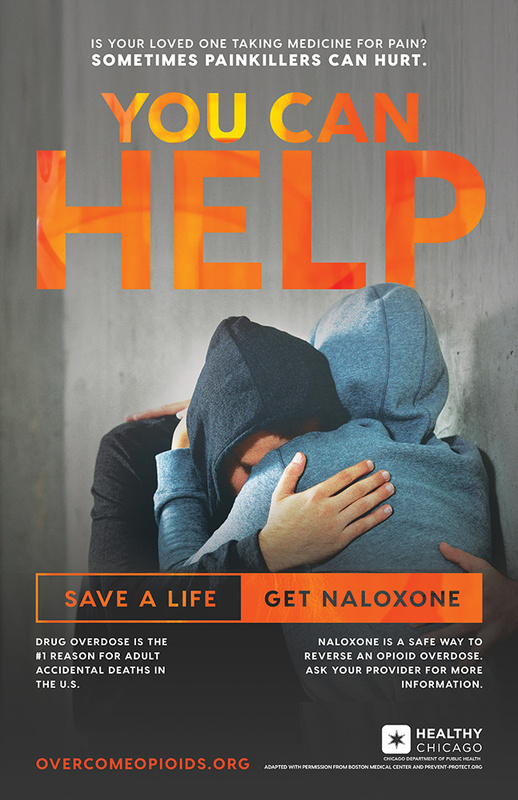 It is extremely important that you call 911 for help in the event of an overdose, even if someone wakes up after getting the naloxone. Save a life - Get Naloxone! Have insurance card and identification ready (if you have them). Ask whether the pharmacy has naloxone in stock to obtain through IL’s Standing Order. 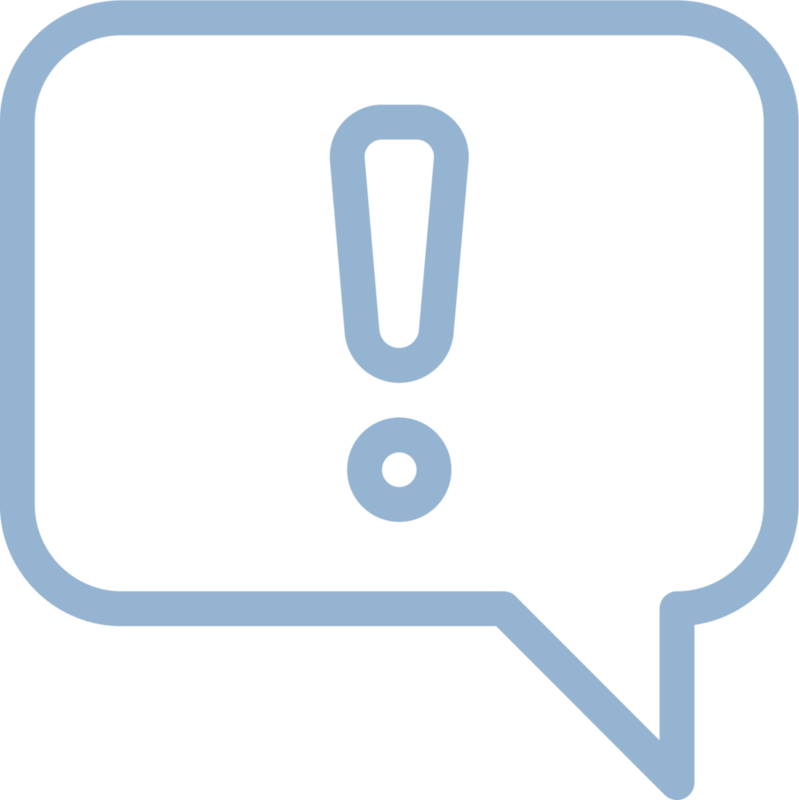 If they are unable to fill the request or are unfamiliar with the standing order, please go to another pharmacy and report your experience to the Chicago Department of Public Health. or Community Outreach Intervention Projects (COIP) sites across the city where overdose education and free naloxone kits are provided (only intramuscular naloxone at this time). More general naloxone information for providers, pharmacists, and the public available here. Note: Illinois has a Good Samaritan Law in place to encourage people to call 911 or take someone to an emergency room in the case of an overdose, or for follow up care in case naloxone has already been given. As long as the caller/person taking someone to the ER seeks medical attention when the person experiencing the overdose is still alive and the caller did not sell the person drugs, the Good Samaritan Law offers immunity for possession charges for up to 3 grams of heroin for the caller/person taking someone to the ER. 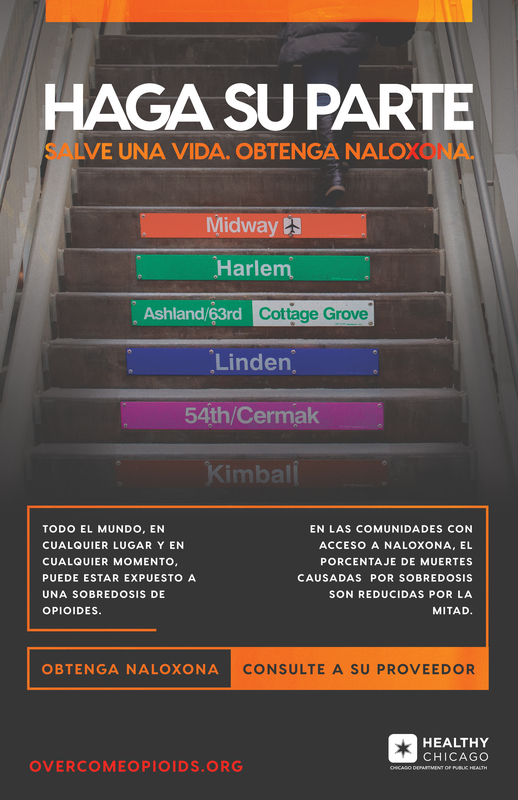 Keep this information with your naloxone kit so you or others remember when and how to use it in case of an overdose.